SAN JOSE -- Two San Jose sisters missing since Saturday were found early this morning in Antioch, authorities said. Alyssa Lucchesi, 10, and Kaleigh Morris, 7, were reported missing around 2 p.m. Saturday, according to the state Governor's Office of Emergency Services. 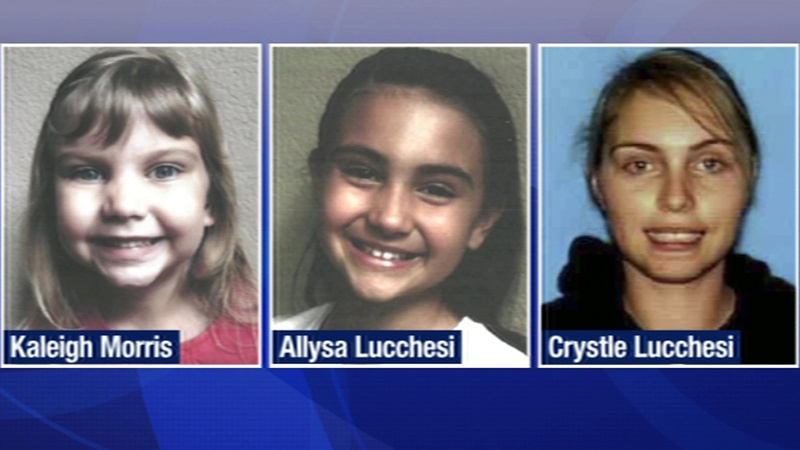 Alyssa and Kaleigh were with their mother, 32-year-old Crystle Lucchesi, emergency services officials said. The girls were found safe at an Antioch home with relatives, who notified police around 6:45 a.m., Antioch police acting Lt. Tom Fuhrmann said. No arrests were made, according to Fuhrmann. Rocklin police took the initial missing persons report and are handling the investigation into the case, a dispatcher said.